Holly Shaw: What's Wrong With This Picture? Could they BE any flatter (said in my best Chandler Bing voice)? Or harder? Did I kill my yeast? Did I not activate my yeast enough? Maybe I should buy a thermometer? Maybe I got off track when I was dumping in the flour 1/2 cup at a time? Maybe I let Helga/Brigitte mix too long? Once I get over the frustration and humiliation of this kitchen fail, I will try again. 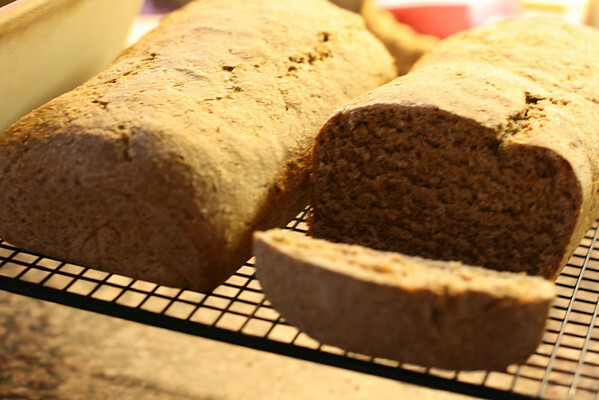 Any good whole wheat bread recipes to share? Any tips? Can you hold me while I cry? Go to Musings of a Housewife, www.musingsofahousewife.com and search her recipes, she has a vlog and a regular post with whole wheat bread recipes. You were ten steps ahead of me, who has never even attempted it. Bravo, my friend. When you are growing your yeast add a little bit of sugar. Yeast grows better with sugar. I was following the recipe in the book that came with my mixer--this was the second time I've made it and each time the dough never seemed to rise like it should have--but this time was even less than the first. The recipe called for one T of brown sugar mixed w/the yeast, and I did, but then it never said how long to let the yeast/warm water sit together before adding it to the flour. I definitely want to try that Miracle Bread recipe of Jill and Michelle's, but I haven't been able to find instant yeast at the grocery store. It's different from regular yeast, right? Thanks for all the tips so far!! 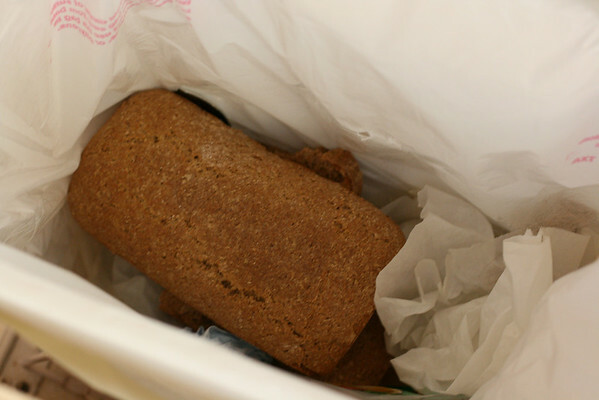 The house still smells like freshly baked bread--too bad the bread is in the trash! Aw, too bad! It's so frustrating to spend hours in the kitchen, hoping for something yummy to result and having it not work out! I baked cookies for hours today and will not be sharing all of them. Apparently one of my special pans with a special bottom that allows air to flow is not really for cookie baking. Oh that is so, so sad! Michelle's Miracle Bread has a wheat variation that's delicious!